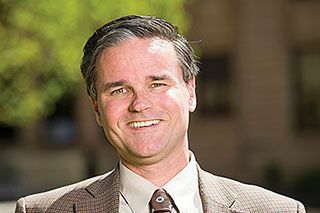 Dr. Atchley, a University of Kansas cognitive science researcher and faculty member since 1998, brings experience in higher education leadership and is well-known for his research, the university said. He will begin at USF in January. The dean of undergraduate studies works to shape the student experience for USF Tampa's 30,000 undergraduates, from programs and curriculum to academic policies and support services. In a news release announcing Atchley's hiring, USF touted his extensive publishing record and a long list of awards. His work has been well-covered by major media outlets, and he is often sought to speak and consult in his field. He works with national safety organizations to reduce distracted driving. As a professor and administrator in KU's psychology department, Atchley built an "innovative, nationally honored student success curriculum to improve students’ knowledge and ability to plan for the future," USF said. And as an associate dean in the College of Liberal Arts and Sciences, he introduced online degree programs and built analytics into student advising. Administrators hope Atchley will build on USF's upward track in student success metrics, such as retention and graduation rates. “Any leader who truly cares about student success should want to join a team as strong as the one at USF,” Atchley said in a statement. “I am grateful for the opportunity to be a part of this university as it continues on its path to success."